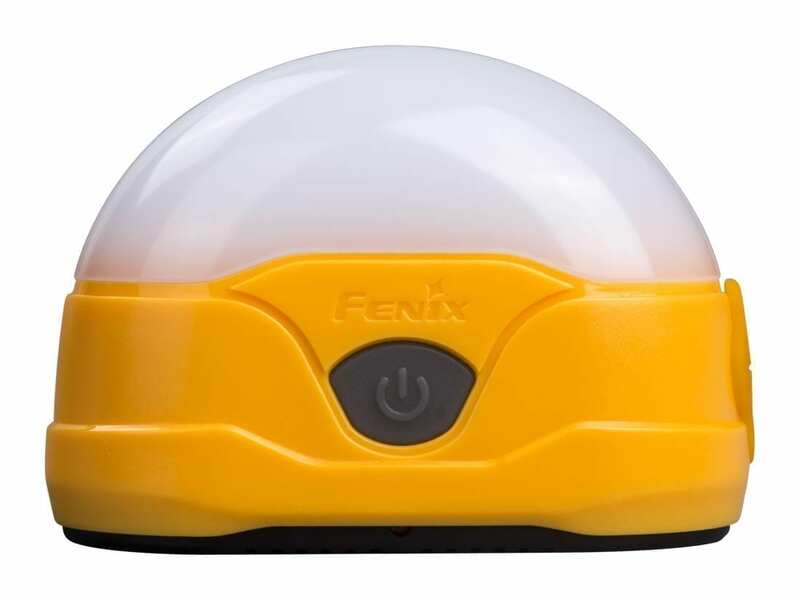 The Fenix CL20R rechargeable camping lantern emits a maximum 300 lumens from its built-in 1600mAh battery and neutral white LED. This lantern has six lighting modes, including 4 white light levels and red and red flashing. Charging and battery level indicators help you make sure you have the power you need. The magnetic bottom and hanging hook make it easy to light any situation. Rain resistant, splash proof and dust proof, the light weight and durable CL20R lantern is the perfect camping companion. Love this light. Purchased as a gift and was very impressed with quality and the varied brightness options of this lantern. Very pleased with how promptly my order was processed and shipped. Best camp light I’ve had. Super versatile, bright and long lasting. When hiking the Milford Track in May, the power in the huts was turned off. This little baby illuminated the whole hut and everybody was thankful for it. Great product. Keep up the innovation guys. So bright and high quality I am really like it. Very cool and portable. Love the magnetic base. Only downside is that battery isn’t replaceable. The wife loves this for the laundry room. I use one when working on our vehicles. Having a hanger wire and a magnet, it is one of the most versatile lights I have. Great little light. Deceptively bright ! I use it for catfishing at night and an extra cargo light. Being magnetic makes it 100 time more useful. My wife like sit as well. If the wife likes it you know it gets 5 stars !!! The CL20R is one of the most versatile lights you can own. Compact, light weight, well made, USB-rechargeable, magnetic base, hanger loop, multiple white light levels, red light. A great value. Have given several as gifts and the recipients were thrilled with them. Awesome little lantern with really good run times! Magnetic bottom and hook features make this a versatile must have! I already own 3 Fenix headlamps so I’m familiar with the company and its products. The headlamps are great but this little lantern is truly incredible due to it’s size, weight, brightness, and price. I bought two of these and was going to give one to a high school buddy for his birthday but when I showed the lantern to my wife she had to have it. Its brightness, small size, and the magnet on the bottom hooked her. I’ll be purchasing a few more of these in the near future. This is the coolest flashlight I’ve ever owned.